AIO (All in One) intralogistics transport system is a perfect solution for standardized, not requiring specific products for internal logistics. 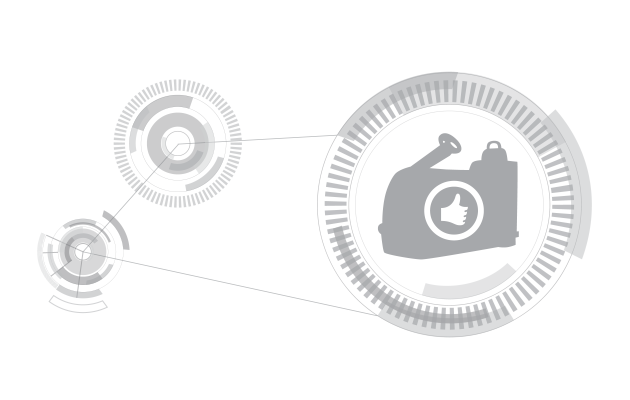 Maximally simplified construction ensures almost failure-free and cost-less operation. Platforms are equipped with a double-hook safety locking and patented system of interaction of trolleys and platforms which uses the inertia’s force. 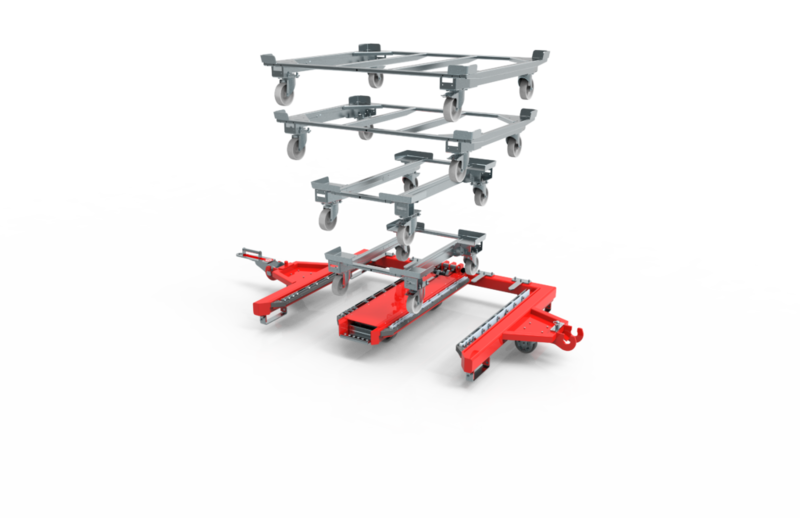 One type of platform allows to transport four types of trolleys capable to load the containers for standard dimensions: 1200 x 1000, 1200 x 800, 1000 x 600, 800 x 600 [mm]. AIO system is fully mechanical – transport platforms and carts do not require any additional power supply to be used. 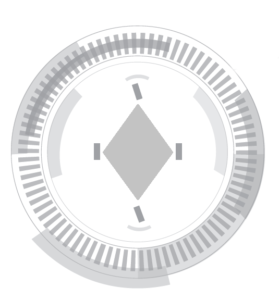 There are several advantages but the biggest two are: minimal service and upkeep cost and very high reliability. 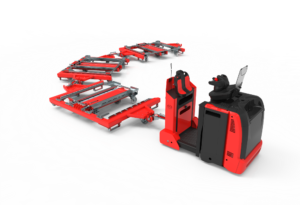 Implementing AIO tugger trains in your production plants you save two times – when you buy them for a very reasonable price and having almost none yearly costs of their using. 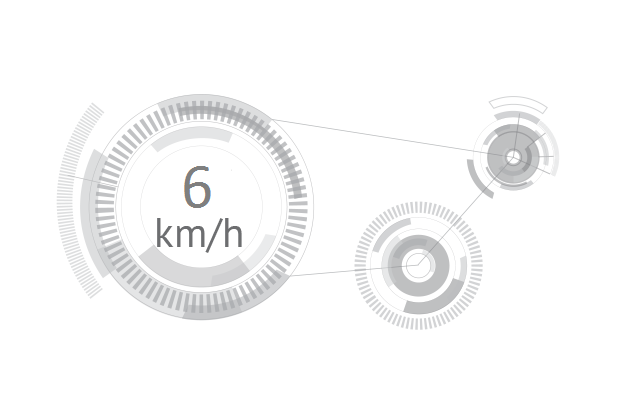 AIO platforms may be transported with the maximum speed of 10km/h on the straight sections. The AIO intralogistics transport system does not require any specific truck, so buyers can decide to choose any kind of pulling equipment. 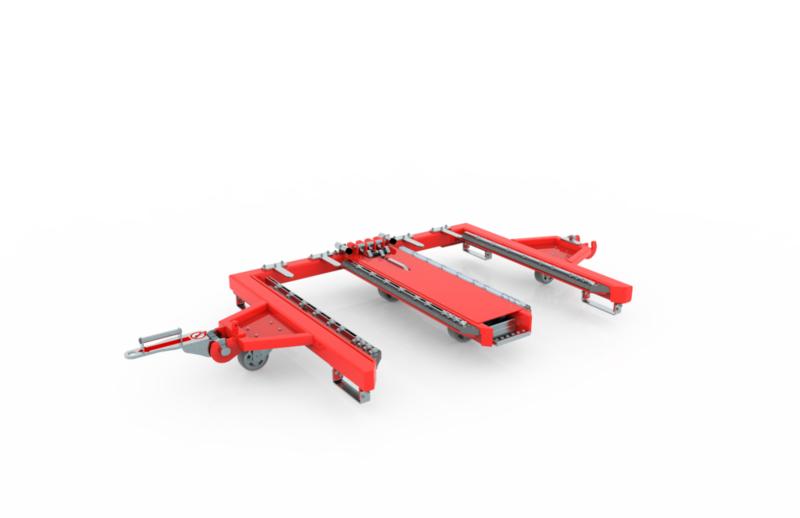 After assembling a special connector, platforms are suitable to operate with all kinds of trucks manufactured in Europe. AIO platform has a rhomboidal traction system – consisting of two swivel and two fixed wheels. The solution ensures the smooth turning and prevents the excessive “corner cutting”. AIO platform is able to transport the trolleys of four different sizes which allows to carry the containers of dimensions: 1200 x 1000, 1200 x 800, 1000 x 600 and 800 x 600 [mm]. 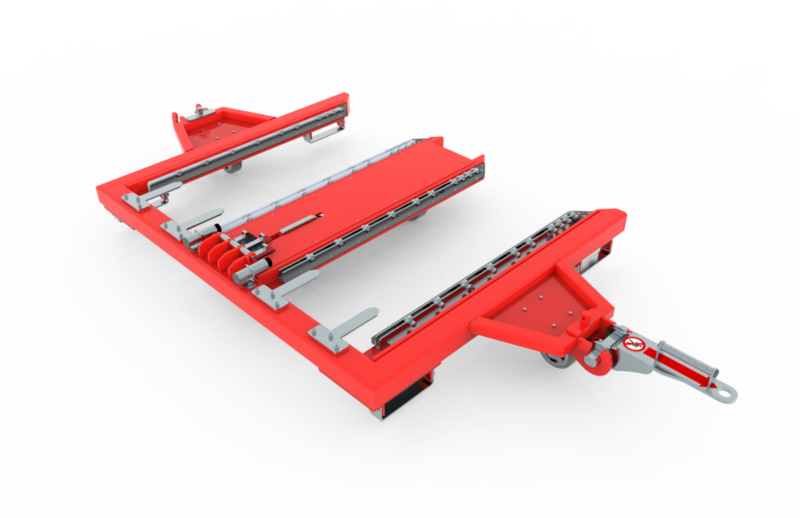 Thanks to rhomboidal traction system and the dimensions of AIO intralogistics transport system it is very agile and allows to turn and turn back in a very small radius. This is very important if routes of production plants are narrow and there is no possibility to widen them.